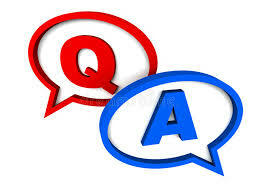 Q: Are your FIB & SEM Consumables products new, or are they refurbished? A: Our direct replacement consumables, such as extractors, suppressors, aperture strips and liquid metal ion sources, are completely new and unused. For some consumables we will replace a spent component or material with brand new items, but re-use and refurbish it's container or module. Q: Can you tell me more about your HyperFIB upgrade? What platforms are typically used? Does my system control software need to be updated? A: Our HyperFIB upgrade provides the maximum beam current available on any system. Due to chamber geometric considerations we typically upgrade platforms where FEI was the OEM. As for the system control software, no, there is no need to upgrade - you'll continue to use the same software you and your users have come to know so well. Q: I'm in need of plasma FIB milling capability but my budget for tool purchase isn't approved yet. Do you have a solution to this problem? A: We offer our HyperFIB plasma services to deal with this exact issue. Just contact us with an idea of the types of samples you have and the work to be done. We'll estimate the time required and get you a quote often the same business day. Q: How is it that you can offer the entire technology platform from CamScan? A: CamScan Electron Optics was a leader in design and development of SEMs for decades. Unfortunately, after CamScan was purchased by Obducat, the company had financial difficulties and entered bankruptcy proceedings. In 2012 we acquired all the assets of CamScan - all designs, source code, inventory, spare parts, and even a few partially built SEMs - and brought them to our facilities here in the USA. Based on this technology, we have greatly enhanced the original Helios control system software and developed our Caesium control system upgrade, providing one of the most extensive platforms for system control as well as integrated data acquisition for our EBIC and Cathodoluminescence products. Q: Can you comment on how you plan to make use of the Camscan technologies? A: We've already made extensive use of what we acquired from Camscan. For example, we have greatly enhanced the original Helios control system software and developed our Caesium control system upgrade, providing one of the broadest methods of system control, many new features, as well as integrated data acquisition for our EBIC and Cathodoluminescence products. Stay tuned for further product announcements based on this extensive technology platform. Q: Your pricing on consumables is great, but how can you offer this affordability and still provide quality products? A: There are a few reasons behind our ability to offer great prices on direct replacement consumables. For one, our overall cost structure is lower than a typical OEM. We're not a public company with investor expectations to meet and we don't have a team of attorneys as required to stay within SEC requirements. We also work very hard to make it easy to do business with us - something else you probably can't say about most OEMs.